New Android Jelly Bean: What's changed? 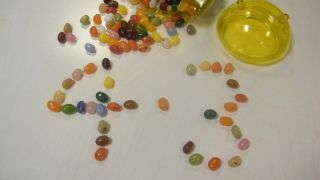 Yes, Android Jelly Bean already comes in two versions, 4.1 and 4.2, but today's announcement sees the launch of the next iteration, unsurprisingly titled 4.3. Google, as ever, has also chosen today to launch its new mobile OS alongside some new mobile hardware, the new Nexus 7. Previous Nexus devices will also gain the update, as well as HTC and Samsung devices, although both manufacturers have proven a little hazy with regards to specifics such as devices and dates. The ability to have multiple users, each with their own area has been around since Android 4.2. Multiple people can have their own distinct home screens, apps, widgets and email accounts all on one device. This has been taken to a whole new level with Android 4.3, with parental controls becoming a lot more stringent. Parents can now place a lock on certain apps through Google's 'personal spaces' idea. Apps will need to optimised, but things will get a lot easier. Again, Bluetooth technology is something that has been around for a while, so it might seem a little odd to be mentioning this as 'something new'. What has changed is due to the development of Bluetooth smart technology, or Bluetooth low energy. This is now fully supported by Android 4.3, something that make play a large part in the development of wearable tech given its presence in a lot of modern fitness tech. This is something that we expect to see come into use with the wave of smart watches that are rumoured to hit the market in the future. The news that OpenGL:ES 3.0 support in Android 4.3 Jelly Bean will be a massive boost to the mobile gaming industry. The update means that any device using this platform will receive an update in its graphic capabilities. Detail and speed comes massively enhanced, with photorealism and greater effects making their way across. This will not only mean that Google's devices will be able to make giant steps in the mobile gaming world, with EA revealing that its biggest game retailer is Apple, but it brings significant credence to EA Labels president, Frank Gibeau comments when he said "In the near future, the next wave of tablets and phones will have nearly Xbox 360 or PS3 capabilities in terms of graphics." Google has also included DRM APIs which will make it easier for media companies to show off their content. Initially announced with Netflix gaining 1080p high definition streaming, developers of media streaming apps will find it easier to stream content. Every iteration of Android brings along a new keyboard, and this is no different in Android 4.3 Jelly Bean. Expect greater auto-corrections, as the technology continues to grow, alongside improved Swype-style Gesture typing. It was fast and accurate in Android 4.2, so we expect this to continue. Camera updates are also something that have been heavily leaked, with the biggest update coming across to the interface. In reality there is not a whole lot of change, with the only change being to how the icons are shown, in a neater arc, as opposed to a circle. Another minor update allows the use of Wi-Fi locations, even when the Wi-Fi is turned off. There doesn't seem to be a lot of use for this initially, but expect it to increase location finding in mapping apps, without the associated battery drain. This could be useful, especially as we are suckers for anything that helps preserve battery.